Every year there’s pressure to deliver a better website than the year before. Yes, you need to update your site every year. This time you’re ready to relaunch with UX best-practices, to appealing design, to customer-centric content that converts. But hold on a second. Have you fully taken into account the most crucial part of the digital customer journey: the site search experience. And even if the search experience does find its way into the conversation, it’s more of an afterthought and less of a results-driven conversation. To ensure your website offers the best possible customer experience, you need to have the site search conversation early in the website relaunch process. All too often site search is based on outdated beliefs about site search—that it’s a commodity. It’s something that comes out of the box with the CMS, after all. Why is site search so important? Because it matters to your customers. Without giving search its due diligence your website is like most businesses today, and you may well have a relevance problem. And even if you are extremely relevant to your audience, perhaps there’s more you can be doing to let customers know. What they need is relevance: the right information at the right time. It all begins when a customer goes to the search box on your site. In doing so, they are telling you what is relevant to them and how you can meet their needs. 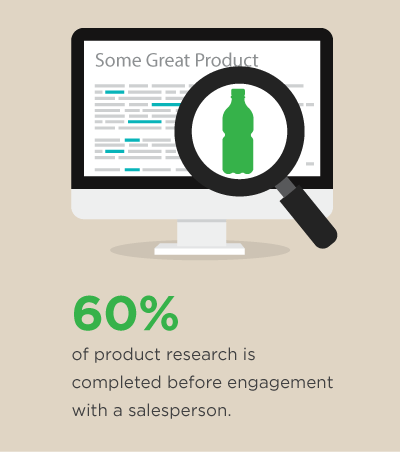 Research shows that customers are up to 60% through their research before engaging with a salesperson, and 84% of B2B buyers admit that this research is done on the given business’s website. To capitalize on this behavior for the latest edition of your site, you need to have the conversation about site search earlier in your website relaunch project and focus on it as a strategic vehicle for customer engagement, satisfaction, and ultimately—your bottom line. Here’s some site search questions to think about. What are your customer expectations when they search the site? This is the Biggy. Think about what your customers expect when they submit a query. The expectations should fall along the lines of relevant content that understands the user’s intent, and a back-end that learns from your users what content is most relevant, and maximizes the existing data from your visitors to deliver an optimal experience. What features best meet those expectations? Often, site managers view search as a detour in the customer journey rather than an experience that can point customers to relevant content. But there’s a catch. Users need to know how to use your search experience. Without the clues to assist them, they are more likely to get frustrated and leave for competitor. Here’s some “must have” features to help your customers learn to use your search experience. Auto-fill query suggestions. Web users have grown used to an intelligent search experience that guides them every step of the way. When they start typing, they expect you to fill in the rest. Machine-learning makes this possible by learning the behavior of similar users. Content recommendations. Don’t wait for their exact query to prompt them down the path; use predictive intelligence to create the experience. Mobile optimized. Think of the context of your mobile visitor. They’re on the go, using a small screen, and they have a job that they need to get done—quickly. Enough said. Your search box, results pages, and search-driven content pages need not frustrate your mobile visitors. The key is to keep the user on their content journey by providing the relevant content they need. Otherwise, external search engines are one click away—and that is where your customer will find your competitors who may have the answers they need. When someone searches your site, are you including the ability to search all your digital properties? Even though content lives on another blog or website, the most important goal of your content strategy is to get in front of the right user. 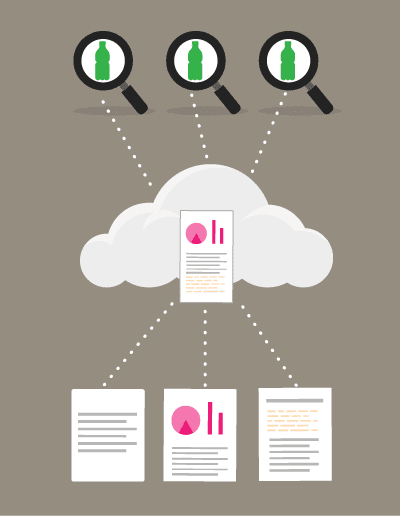 Having content in the Cloud enables you to search across your Cloud for the right document, as well as keep a tight lid on version control with documents. Instead of having multiple versions of the same document, the Cloud enables multiple collaborators to work on a document, then upload the final version. As you add more content and your site traffic grows will you or your IT team have the time to go in and interpret your search usage data and make adjustments? This is a major investment, and one that may not be needed, especially with solutions that incorporate machine-learning to automate the tuning and analysis. Although having a team perform analysis and manual tuning may seem doable now, it quickly gets out of hand if your business grows. Investing in a solution that provides out-of-the-box machine-learning will enable you to deliver a superior search experience as your website traffic, audience, and content grow. Search makes a difference for your customers and its importance is only expected to grow as users become more mobile and more inundated with content. Gone are the days of browsing and viewing page after page. If you don’t consider the importance of site search experience or continue to have outdated beliefs about site search then you run the risk of a missed conversion and opportunity to keep customers engaged on the website. Once it becomes obvious that a step was missed in the relaunch, it’s often too late for marketing teams to course-correct on the relaunch. Asking the right questions about site search will keep you ahead of your competition. Finally, keep in mind that your users know what they want, they go to your sites search box and type it in, whether you have optimized the search experience or not. It’s time to make search a key part of your website relaunch strategy.